After the bestselling Love & Misadventure, Lullabies, and Memories, Leav has released another beautiful piece set to capture the hearts of millions of readers. 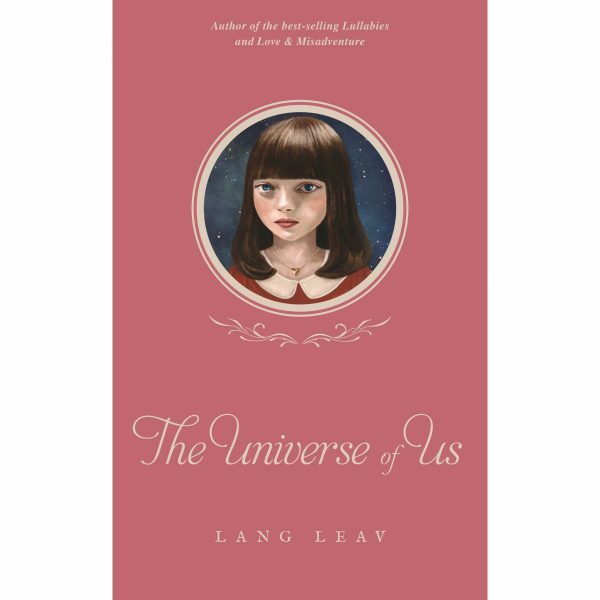 Although The Universe of Us is somehow quite similar to her other three books, it somehow hits you like a tidal wave and you know you just have to get your hands on her latest piece! As compared to Leav’s previous bestseller, Memories, describes the events that have occurred in the life of a girl who blossoms helplessly in love and slowly yet gracefully succumbed to the struggles of losing the person you love. It escalades from bliss into eternal loss and you would somehow question yourself silently if the author really experienced all these turn of events to have written with so much detail and grace. 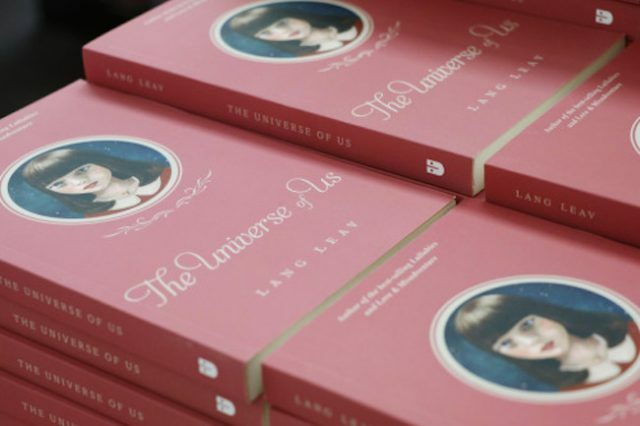 Personally, I feel The Universe of Us reflects a more mature unconditional love of the same girl portrayed in Leav’s other three books especially Memories, for the one boy whom has created an entirely different world for her. This book is definitely the mature grown-up version of all the previous books and it makes you feel so happy for the girl whom has finally discovered the meaning of true love in an amazing turn of events. No doubt, Leav has an amazing ability to create triumphant cascades of love and loss through each turning page. There is no way you know what’s coming next! You just have to keep going. Other than being such simple book, with one or two paragraphs on each page, you don’t have to read it all in one go! You could just randomly open up a page each day and see which piece you end up with! You never know how much it would mean to you, or how it would affect your whole mood. I think the most prominent way in which Leav writes helps inspire readers and young writers to fall helplessly in love with the power of words and how they consume us in such a way a person is bound to feel all sorts of emotions. It is definitely different from other forms of poetry. I would describe Leav’s collection as modern-day poetic literature. 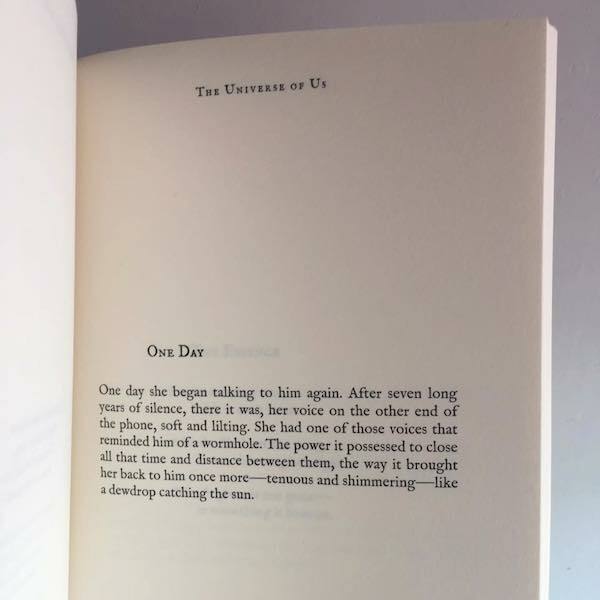 Whether its love, grief, loss or the longing of someone dear, The Universe of Us is bound to become one of the best books you will ever read. So here is my most favourite piece from Leav’s book! I figured writing it out, would give it more meaning. I don’t want you to love me because I’m good for you, because I say and do all the right things. Because I am everything you have been looking for. I want to be the one that you didn’t see coming. The one who gets under your skin. Who makes you unsteady. Who makes you question everything you have ever believed about love. Who makes you feel reckless and out of control. The one you are infuriatingly and inexplicably drawn to. Let us know what you think of this book!